Skyline Memorial Park has provided cremation services to the community for over 50 years—its first cremation taking place in 1966. Cremation has become an increasingly popular choice due to its affordability and ease of planning, and we are committed to helping our families explore the different options available to you. Not only do we offer a variety of direct cremation packages, but we also have many burial and inurnment options for cremated remains. Skyline has designated this naturalistic section of the cemetery specifically for cremated remains. Serenity allows for a variety of inurnment options, including cremation boulders, cremation benches, and placement in our granite Niche Columbarium (urn mausoleum). Living tree memorials are also available and we are happy to work with you on any specialized cremation inurnment requests. The Memorial Center chapel is available to host both public visitations and memorial services, depending on family preference. A public visitation is the traditional viewing of the body before cremation takes place, while a memorial service occurs after cremation, often in the presence of the urn. More intimate family gatherings can also be scheduled prior to cremation. 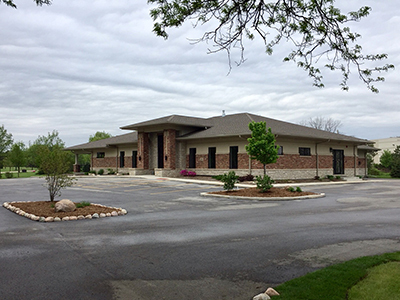 Our Memorial Center will never have more than one service in progress at once, allowing your guests to make the most use of the space while avoiding any scheduling or location confusion. Please contact us to further discuss your family’s individual needs. Direct cremation is an affordable alternative to a traditional burial or funeral service, where the deceased is cremated soon after removal, with no public viewing. Along with helping you make all necessary arrangements, our chapel is available if you wish to host a memorial service to commemorate your loved one after cremation has taken place. Cremation of the deceased, placement of ashes in an alternative cremation container, and safe return to your family. This package includes use of the Memorial Center chapel for 3 hours. In addition to use of the Memorial Center chapel for 3 hours, this package also includes a niche space in our Serenity columbarium, with name plate, and covers the niche opening and closing cost. *Price includes funeral director fees for the transfer of the deceased and the preparation of the cremation permit and death certificates. Costs of certified death certificates are not included. Skyline Memorial Park accepts Cash, Personal Checks, Visa, MasterCard and insurance assignments. Prepayments are also accepted and held in a state-regulated trust account.